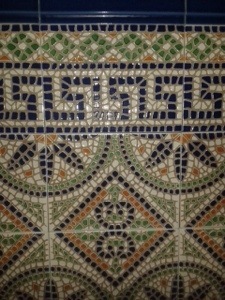 My apartment is in the old part of town and in the hallway of my building the walls are tiled with Andalucian tiles as is traditional in this area. 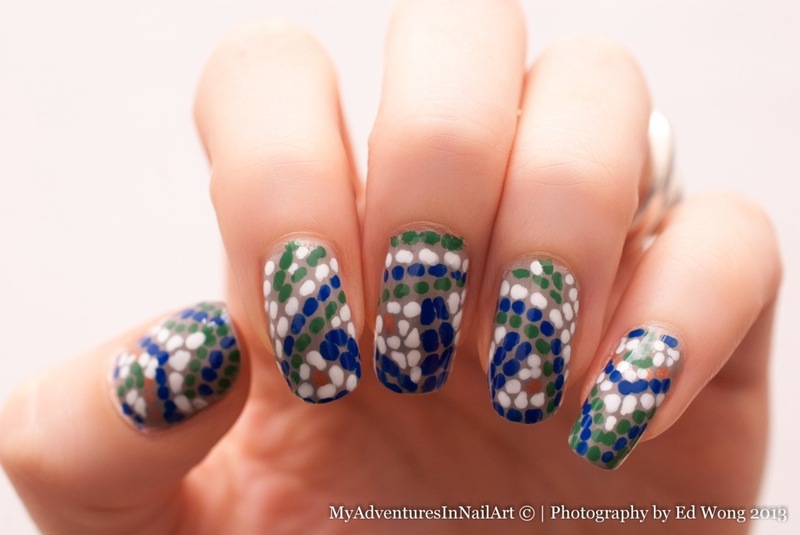 They have a kind of mosaic look to them and I thought they’d be fun and a bit of a challenge for a pattern in my house translated onto my nails. They were actually easier than I thought they’d be and I enjoyed doing them and trying to create a mosaic effect with a dotting tool. I’m pretty pleased with the result as I thought they had the potential to either look great or be a huge disaster! I hope I’ve gone more towards the great end of the spectrum! 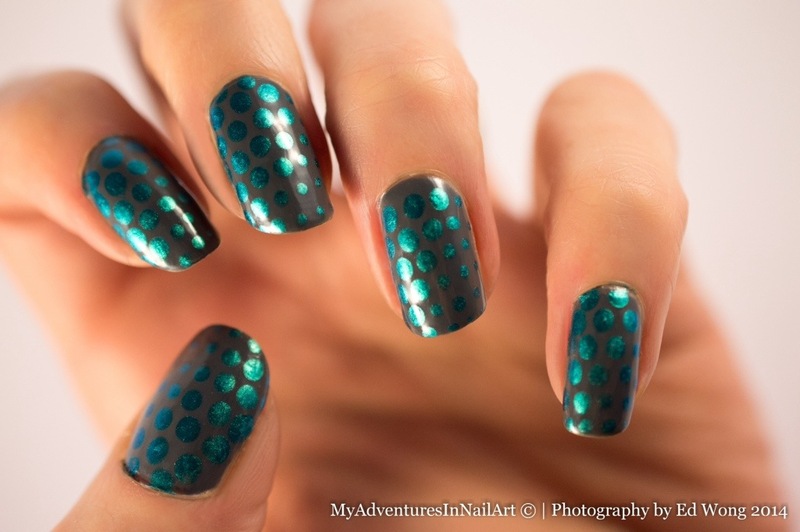 Blue is one of my favourite colours to have on my nails so here’s my entry for Short and Sweet in Texas’ April challenge. 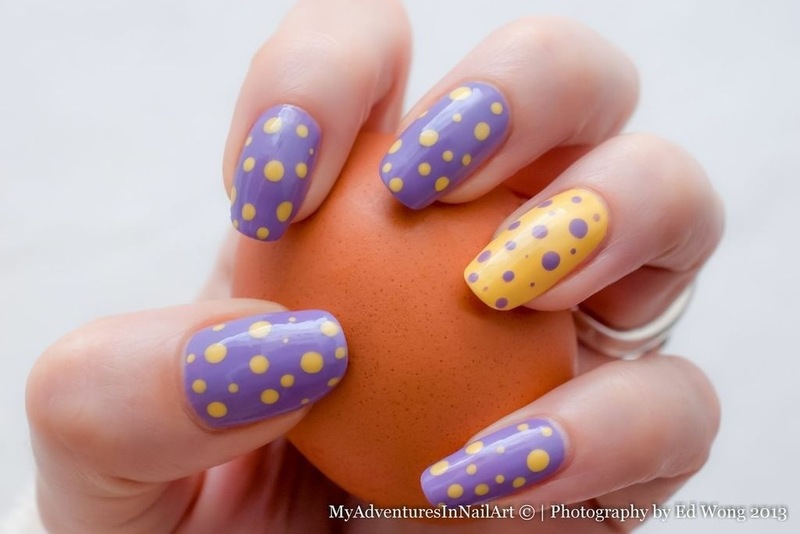 I’ve seen so many versions of this manicure around and always wanted to try it. 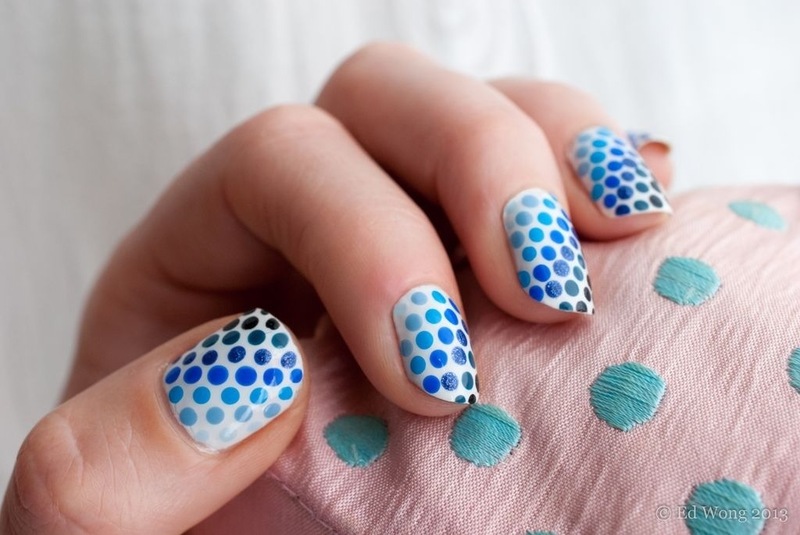 It’s a fairly simple idea and just requires a dotting tool, but I found it a little tricky to get my dots equally spaced. Most of my nails came out looking pretty good, just my ring finger looked a little bit clustered in one area. I love this design as it looks impressive both from a distance and close up. 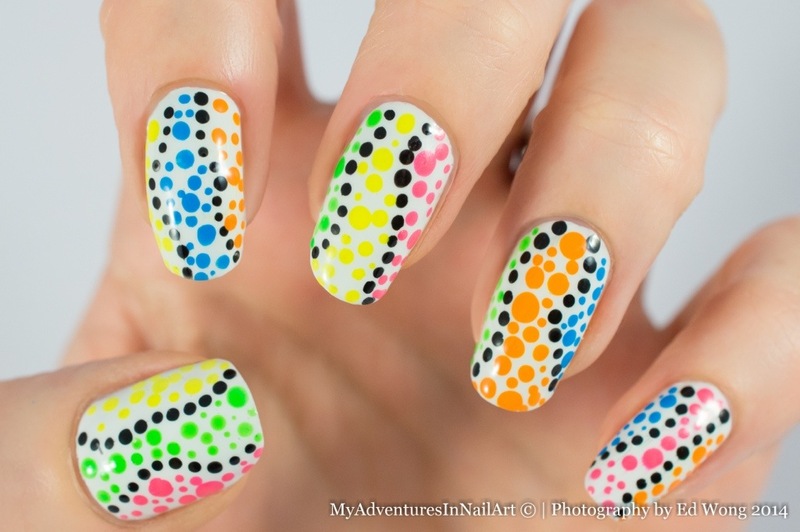 I might try the classic rainbow version of this manicure if I come back to it again in the future.